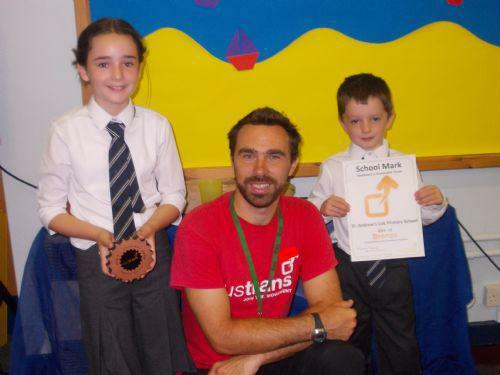 Ryan Evans (Dr Bike) came to St. Andrew's this morning to present us with the School Mark Bronze Award for Excellence in Sustainable Travel. Ryan will continue to visit the school throughout the year and we will work towards achieving the next level. It is great to see so many children and families walking, riding and 'scooting' to school!